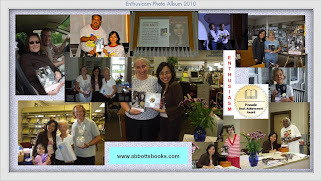 Fida Abbott's Books: VIVIANA WIDJAJA: Thumbs Up for Enthusiasm Book! 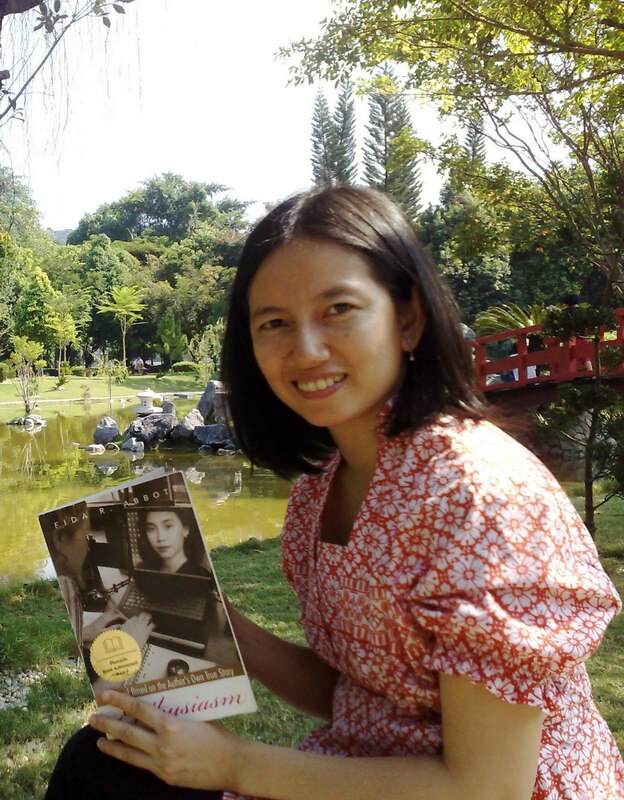 VIVIANA WIDJAJA: Thumbs Up for Enthusiasm Book! Greeting from Viviana, Malaysia! 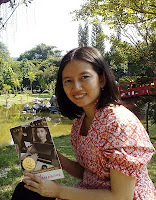 Attached is a photo of me wearing Batik with Enthusiam book in my hands. The photo was taken in Japanese garden, Ipoh, Malaysia, on September 12 by my hubby. 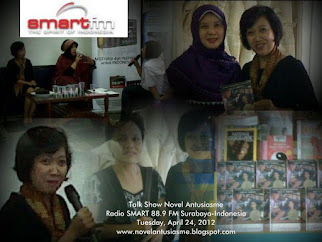 Enthusiasm book is enjoyable and inspiring to read, especially for women. 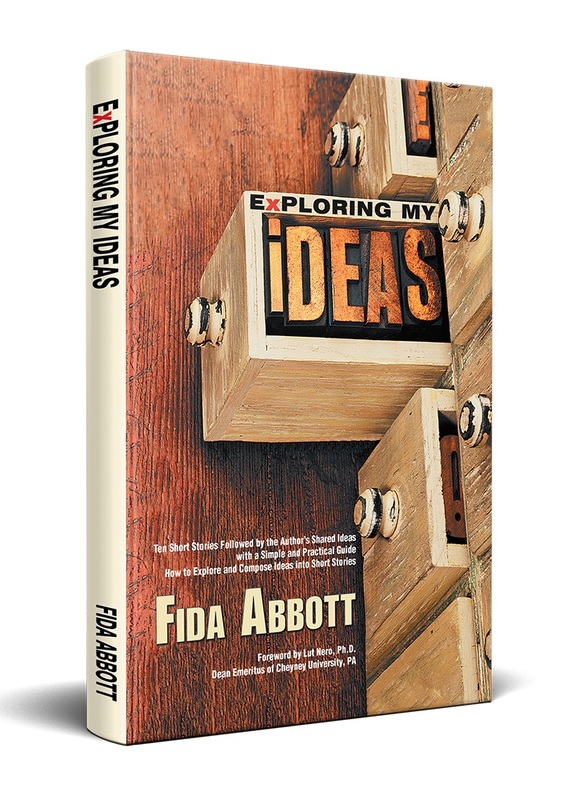 If you have a low point in your life and look for some inspiration, may Fida’s stories in Enthusiasm lift up your spirit. I love reading her novel about her true story of woman’s life journey because women share the same dilemma and I can relate her stories with mine. 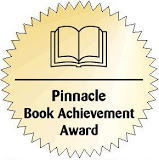 To read her detail entry, you may visit Viviana's blog posted on September 12, 2010, entitled Seek Enthusiasm Within Yourself.